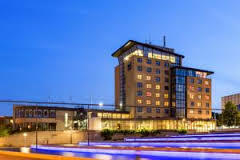 Your Procol Basecamp is the NH Zoetermeer Hotel, where you will enjoy comfortable rooms, a bright, spacious feel, a late bar, the company of fellow fans and, for those who book the Convention, it's where the dedicated bus will collect you and take you to the Party (exact time details to follow). 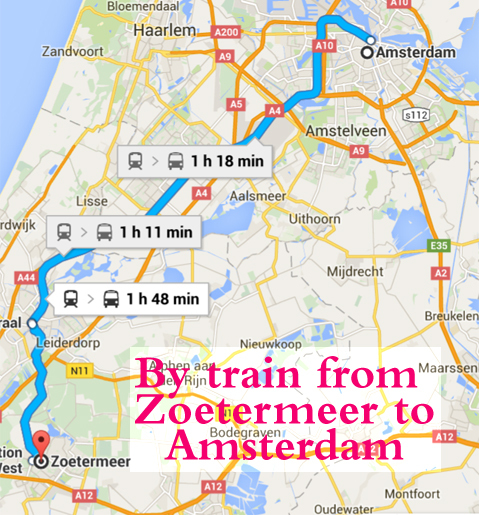 The centre of the Amsterdam is an easy 70-minute train-ride from Zoetermeer (diagram, left, below), so it makes good sense to use the train for exploring the many. famous delights of the capital while enjoying the inexpensive accommodation of the Basecamp Hotel for a few days either side of the Convention. 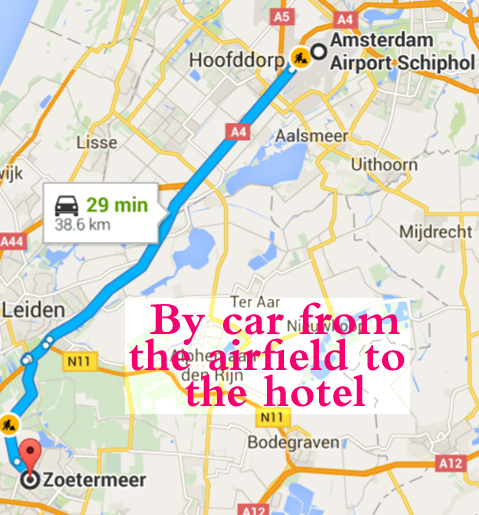 For those who will hire a car at the airport, it's a 30 minute drive to Basecamp Hotel, as the second diagram below shows. Clicking the button below will connect you with a form where you can enter all the necessary details, your chosen dates of arrival and departure in particular. You'll also enter the credit-card information that the hotel requires to guarantee your reservation; your card will not be charged until your arrival at the hotel (unless, of course, you don’t arrive at all). Please note carefully: for your safety, confirmation of booking is a Two-Stage Process: after you fill in the form and press 'subscribe to list', you will receive an e-mail containing a confirmation link. You do have to click that confirmation link, to make your booking complete. 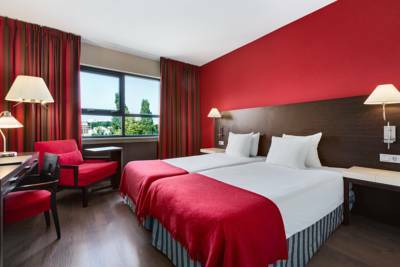 Please note that local hotels also charge 3.10 Euro 'city tax' per person per night. In addition to your hotel booking, don't forget to book the Procol Convention ... and remember that tickets for the two local PH shows are not included ! We look forward to seeing you in Zoetermeer!